The term psychographic sounds like voodoo. Or like something that Freud dreamed up. Or like a primeval nontraditional REM sleep mental therapy method. Actually, it’s the greatest thing that ever happened to marketing in general and conversion optimization in particular. The sad thing is, psychographics is shrouded in the dark veil of mystery and unawareness. Many conversion optimizers, for all their sheer and unmitigated intellectual brilliance, are just clueless about psychographics. They’re still thinking of Freud and dream theory. Like many of the untapped sources of awesomeness in conversion optimization, psychographics is one area in which every conversion optimizer needs to shore up his or her knowledge. Remember — please remember — that conversion optimization isn’t just about gimmicks, hacks, tips and tricks. It’s about a profound and deep understanding of the user. The better you know your users, the better you’ll become at conversion optimization. That’s precisely where psychographics comes into play. It’s an advanced, intuitive and highly accurate method of knowing your users. It’s a method of knowing users that goes way beyond measuring clicks, dwell time, impressions and other sometimes useless metrics. Let’s talk about what you as a conversion optimizer need to know about psychographics. 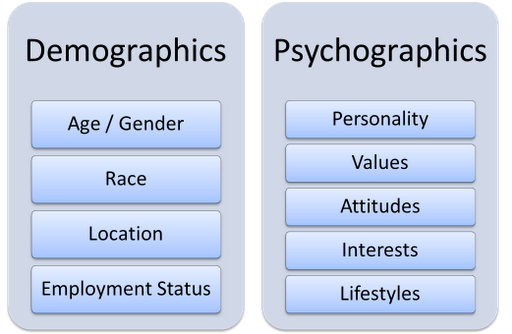 Psychographics is the study of your customers' interests, activities and opinions. In case you’re wandering into this discussion as a complete psychographic newbie, let’s start with the basics. What the heck is psychographics anyway? It’s the study of an audience’s personality — including their interests, activities and opinions. Since these three features (interests, activities and opinions) define the core of psychographics, the study is sometimes referred to as "IAO variables." Psychographic is behavior-based rather than strictly data-based. Most Internet marketers rely on data and metrics to make marketing decisions and to develop their strategy. While this is important, it is by no means the only basis for developing a marketing strategy. Psychographics often falls outside the pale of traditional metric-driven strategy, because there are fewer metrics to go on. There are several key areas of psychographic research that will instantly improve your business. So you have a general idea what psychographics is, but let’s go a bit deeper, shall we? What type of information are we really talking about here? 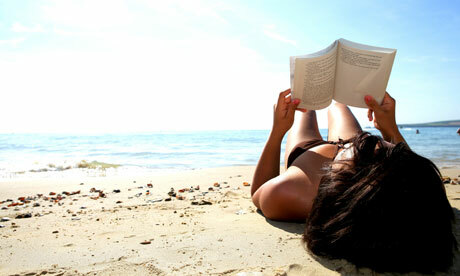 Your marketing target may engage in the activity or have a hobby of reading or sunbathing or both. An interest is an area of curiosity or desire for knowledge. It has a deeper connotation of something that affects someone’s life, causing them to act in a certain way. Environmental interests, investment interest, family interests — there are a bajillion interests that may characterize individuals or groups. Everyone has opinions of some sort or another. Opinions are usually views that a person holds — strongly or lightly — that may or may not be based on verifiable fact. Some people may have the opinion that men are stupid. Others may have the opinion that the climate issue is of absolutely no concern. The word behavior gets at an individual’s actions in response to situations or stimuli. Yeah, it’s a pretty broad term. Your target audience probably consists of some humanistic buyers. Such buyers may respond to a purchase decision with a contemplative and value-based behavior. Their behavior is one of concern for the well-being of others. Habits are things that people do without thinking of it. Habits are hard to give up. Some people would describe them as impossible to break. Many people have the habit of watching the TV every evening. Looks like a gripping show. Lifestyle is an obvious one, and it has lots of implications for marketing. One’s lifestyle characterizes the what of their everyday. These are the things that they do often out of a sense of desire, disposition or necessity. Lifestyle is often coupled with the word choice, and carries with it the idea of different approaches to living — smoking or nonsmoking, healthy, active, religious, secretive, curious, techy, organic, artsy, highbrow, country, etc. All of these terms can be used to describe various lifestyles. Your customer may have the lifestyle of “busy.” It’s a fairly common lifestyle, and has plenty of variations. An attitude is a way of feeling toward someone or something. A person’s attitude can be either negative or positive, but it more commonly just is. It’s basically an outlook on a certain given topic. Your customer might have an attitude of surprise at the contemporary price of brewed coffee. Values are things that are regarded as very important. People don’t trample over values. They uphold them, consciously or unconsciously, and also allow them to guide their behavior. Your target customers may have a value of patriotism, and be passionate about defending the honor of their nation’s flag. Cognitive biases are quirks in the way people react to or think about situations, which may often lead to conclusions that are illogical. Here are some of the most common cognitive biases explained. Your target customers might be characterized by their expectation that every e-commerce site is going to provide free shipping, manifesting a focalism bias. Each of these psychographics features demands a response from you, the conversion optimizer. Once you know psychographics, you do conversion optimization. In that order. The above list describes some of the common elements of psychographics, but how does it all fit together? A psychographic profile will help you to absolutely nail your target audience. When you engage in research, do your homework and pay attention to psychographics, you can develop a psychographic profile of your customers. Creating a psychographic profile is powerful, because if you do it successfully, you can create an instant connection with your audience. For example, let’s take the company 17hats. When someone looks at their site, they may be blown away by how perfectly it fits them. Bada-bing. Conversion. In the bag. Perhaps I overstate the case, but the psychographic targeting and resultant optimization of the page featured above accurately connected with a customer. That’s the power of psychographics. Knowing and addressing your audience’s psychographics makes you instantly likeable. Did you notice how many of the features of psychographic profile have to do with preference and personality? These features impact what a customer will like or not like. More to the point, they determine whether your customer will like you. If you’ve successfully identified and responded to the customer’s interest, opinions, behavior, attitudes and values, you’ll be able to build a following. or this guy who is digging the clothing-optional lifestyle. The point is this: Finding and acting on the psychographic sweet spot can produce a gushing conversion torrent. Why? Because you’ve instantly scored likability, which is a conversion-boosting trait. It’s important to get this: Psychographics is not demographics. Sure, there might be some overlap, but in general, psychographics and demographics are trying to understand two different things. Demographics = who is your customer? Psychographics = why does your customer do what they do? From that simplistic bifurcation, we can draw a logical conclusion: Psychographics has a different end goal from demographics. Demographics = Find your customers. Psychographics = Find out why your customers buy. See the distinction and the direction of psychographics? This is a really critical issue, because it helps us home in on the purpose of psychographics. The point? Psychographics are particularly useful for conversion optimization. Conversion optimization, as you’re well aware, is the practice of turning visits into conversions. In order to rake in more conversions, you have to understand a person’s motivating factors, and that’s exactly what psychographic research is designed to explain. Is demographics still valuable? Yes. I wouldn’t go that far. But if forced to choose between psychographics and demographics, I’d totally select psychographics. Why? Because the psychographic data is not descriptive, but prescriptive. It is immediately actionable, and predicated upon the reasons, biases, foci and interests of the target audience. A brief glance at the two views shows you that one is immediately actionable and the other not-so-much. Demographic: She’s a mom. Okay, so she’s going to buy diapers, right? Right? Well, no. Not necessarily. Not if her kid is 11, I hope not. You just don’t know. All you know is “mom” and youngish. Psychographic: She has a baby who is about 5 to 9 months old. Yeah, she’s going to buy diapers. With that truth in mind, I need to know about selling diapers to her. A psychographic snapshot shows you more relevant information. For example, the below image from HubSpot indicates a psychographic profile snippet of a person who uses Pinterest. Okay, we can do something with this. We can identify a marketing channel (Pinterest), tailor that marketing channel to adapt to a specific psychographic disposition (a certain Pinterest board), and then use that pinboard to attract conversions (Pinterest buy button). Psychographics tells you why your customer buys. The sheer cash-producing power of psychographics is that it explains why your customer buys. This is the area of conversion optimization that I beat like a drum, and that many conversion optimizers just keep ignoring. Motivation, psychology, cognitive tendencies — this is the marketing knowledge that produces the most powerful and actionable of all information. And this is precisely what psychographics gives you. Psychographics keeps you from being stupid. The way to avoid stupid mistakes in your marketing and conversion approach is to know your customers' psychographic composition. When you disregard psychographics, you may make statements in your content, attempt tricks in your conversion, or otherwise commit grave acts of face-palming stupidity that alienate your users instead of attract them. Let’s take an example from the clothing brand, Gap. Once upon a time, they decided to do a little change-o on their logo. I bet you don’t have any jeans with the “after” logo on it. Why not? Because Gap pulled the logo after two days. Our customers are averse to change. Our customers are more traditional in their outlook and values. Our customers prefer the basics. A whiplash logo change like they tried wasn’t going to cut it. They lost touch of their psychographic moorings, and tried to pull something off that was going to alienate their customer base. And then there are the brands that just completely disregard ethical propriety altogether. 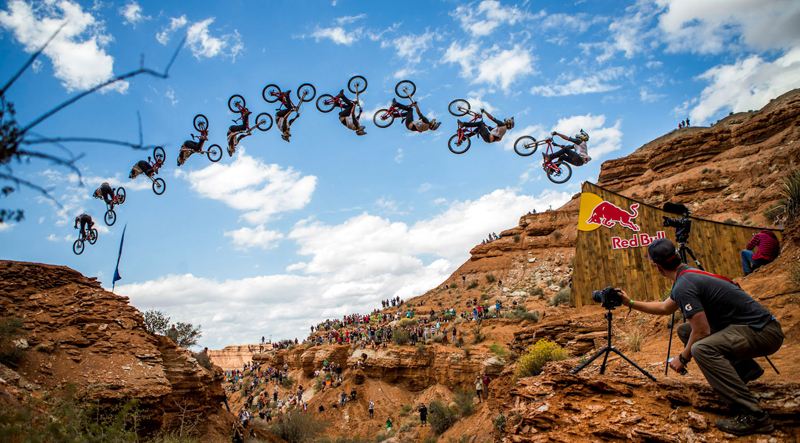 On the other hand, you have a company like Red Bull that totally, totally knows its audience psychographic — adrenaline fueled, extremists, action-oriented thrill junkies. And then they pull of a marketing stunt that leaves the world gaping in awe. In this article, I’ve fawned over the virtues of psychographic information for conversion optimization. What I haven’t told you is how to get that information. That’s the subject of another article. For the present, keep in mind that you’re going to gain psychographic information from the users themselves, not just from the metrical data you harvest from online sessions. It requires social media listening, interviews, surveys and more. Getting the info isn’t easy, but it’s sure as heck rewarding.